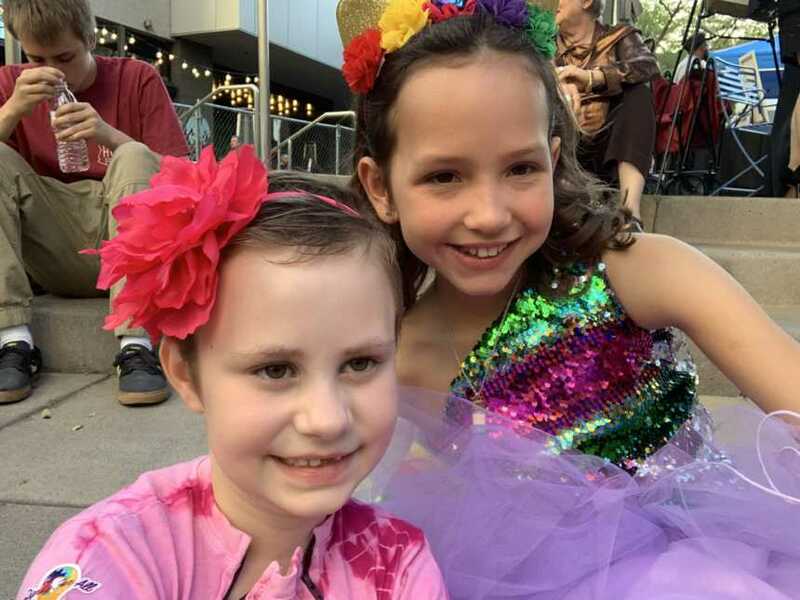 “It was April 2018, I was watching my daughter do cartwheels outside in the backyard playing blissfully when I heard my FB notification go off. I glanced down and saw something that immediately put a knot in my stomach. 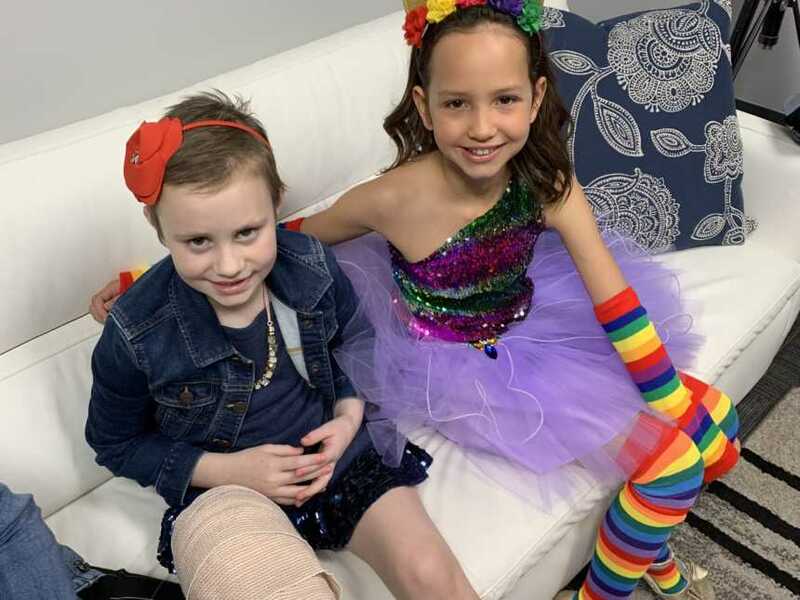 A friend of mines daughter had been diagnosed with osteosarcoma in her leg at the age of seven, the same age as my daughter. I Looked out into the yard watching Eva run blissfully and carefree and the tears began to flow, it was way too close to home. Months went by and we followed Bridgette’s story intently, praying for her and keeping a close eye on her journey. 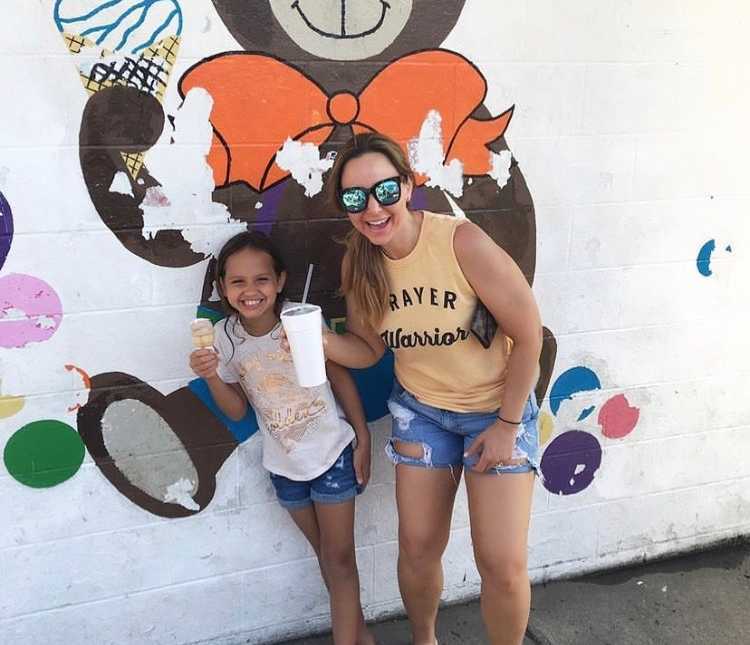 I kept seeing people doing things to raise money for her, lemonade stands, fundraisers, there was even a GoFundMe account that had been established. We kept praying, and Eva kept asking how Bridgette was doing everyday. She would ask ‘Mom is she healed yet? Mom will she walk again?’ I didn’t have answers , but I just kept things as positive as I could and answered honestly. I could see Eva wanted to help, she was insisting she wanted to do something, so I asked her if she wanted to do a lemonade stand? 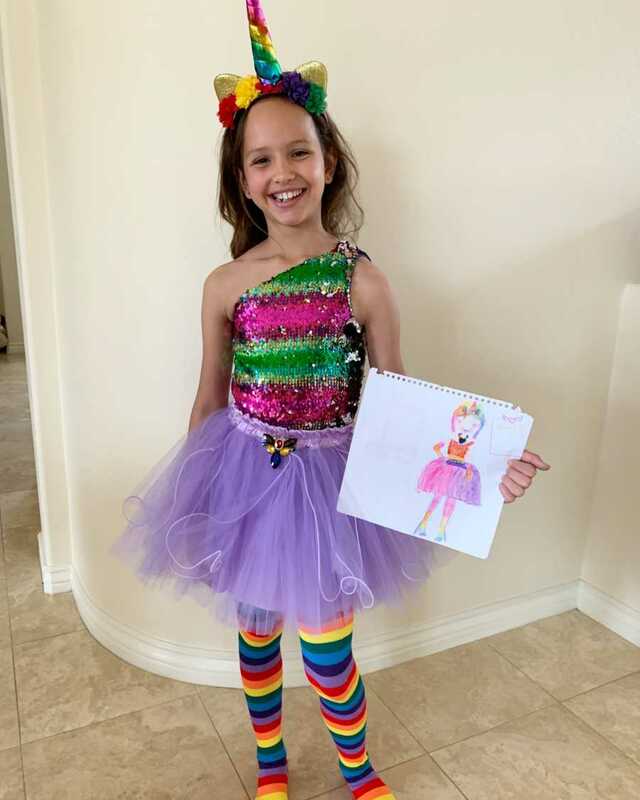 ‘No, mom’ she replied, ‘Bridgette is going to need more than a lemonade stand, we need to do something to make her smile and raise money.’ ‘Okay Eva, any ideas?’ At the time Eva was sketching a dress from a new design book she received for Christmas. 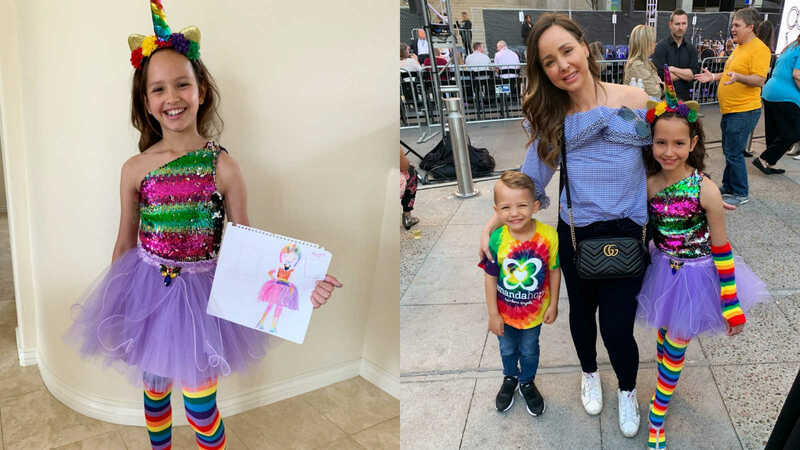 She was drawing a unicorn dress, she looked down at the page and up at me and said ‘Mom, can we make this dress for Bridgette and sell it to raise money?’ I said ‘Well, we can try. Let’s see what we can do.’ At that moment I had no clue how I would make this happen, I mean I had no idea how to sew or make a dress. There was a local magazine on the floor and Eva was reading a section from Phoenix fashion week. She pointed to one of the dresses and said ‘Mom these dresses are beautiful, maybe the lady who makes these can make mine?’ I looked up the designers name and found her email, and with a hopeful heart we reached out. The designer was Christine Adar out of Chicago. She was so excited about the project and signed right on to help! After our first conversation I had no clue how it would all come together but I just felt like it would eventually. I sent Christine the design and she immediately started the project. I reached out to Jamie and she was excited to hear about the project and said to keep her posted. 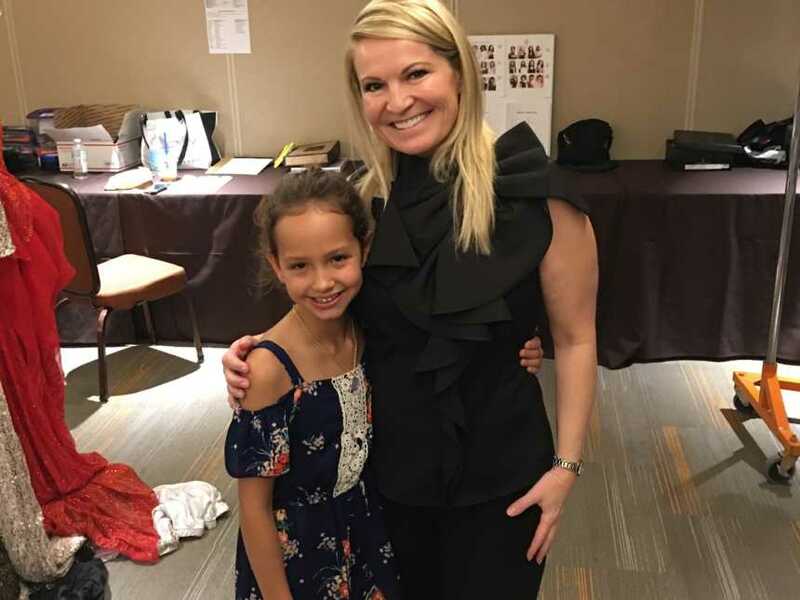 Christine Adar came to Phoenix in October for fashion week and had Eva do her first fitting for the dresses to be made. Since Bridgette was fighting cancer at St Jude’s she wasn’t available for the fitting. While all this was going on, we are watching Brigette fight cancer from afar, it was absolutely heartbreaking to see the pain and discomfort she was in. We prayed night after night for her miracle. I remember being on Facebook one-night crying while reading Jamie’s posts and my husband saying, ‘You’re going to have to get off Facebook, the sadness is overwhelming and it’s time for you to take a break.’ I couldn’t stop watching, I was desperate to see news Bridgette was better, and her cancer was gone. My heart broke every day for Jamie and their family as they fought hard alongside of Bridgette as well. November and December came and still the dress was incomplete, and worse the designer had had a terrible string of personal tragedies in her life that made the project seem even further away. It had come to a point where I had to tell Eva all her hard work and hopes may fall short. The good news was Bridgette had finished chemo, had her amputation and was home! She was home to celebrate Thanksgiving and Christmas with her family. We felt so incredibly happy for her and her family. In January I reached out one more time to Christine and she had said she was almost done with the dress and it would be shipped immediately! I was so excited and seeing Eva’s face after I told her was priceless! We never gave up hope and I knew eventually things would work out. 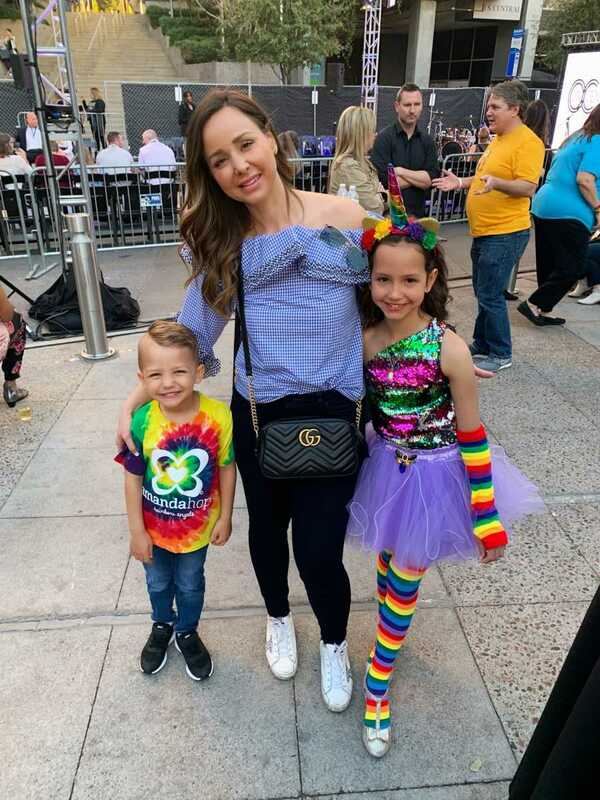 The dress arrived in March just before a fashion show that Bridgette would be in and her and Eva wore their dresses together as they walked down the runway, it was so magical! The dress will be auctioned off this fall at the Amanda Hope Angels gala In Scottsdale, Arizona with the proceeds going to the charity to help children like Bridgette that are in need of assistance during and after their battle with cancer. This story was submitted to Love What Matters by Nichole Gavranovic. Follow their journey on Instagram. Submit your story here. Subscribe to our free email newsletter here. SHARE this story on Facebook or Twitter to spread the love.